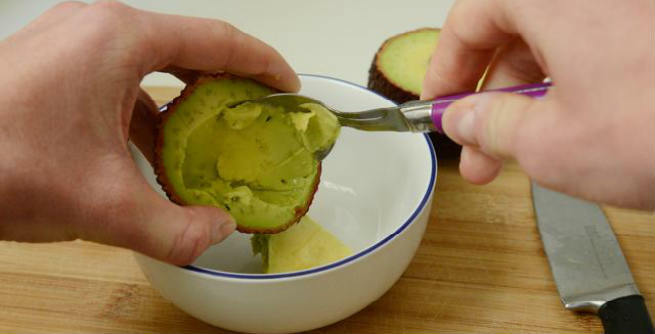 Take the half of a ripe avocado and extract its pulp into a bowl. Mash it well. Add one-fourth cup of fresh raw honey to it and blend with a spoon to form a smooth thick paste. Apply it all over your face and wait for next 10-15 minutes. Then, rinse with lukewarm water or wipe with cold washcloth. You will get a soft, supple and adequately moisturized skin easily. Crack an egg in a bowl and separate the white portion from the yellow one. Beat it well. Scoop out one-fourth of a ripe soft avocado into the egg white and combine properly. It will form a smooth, sticky mixture. Apply it onto your skin evenly. After 15 minutes, wash off with lukewarm water followed by a cold water rinse. This mask will nourish dry skin and make it healthy. 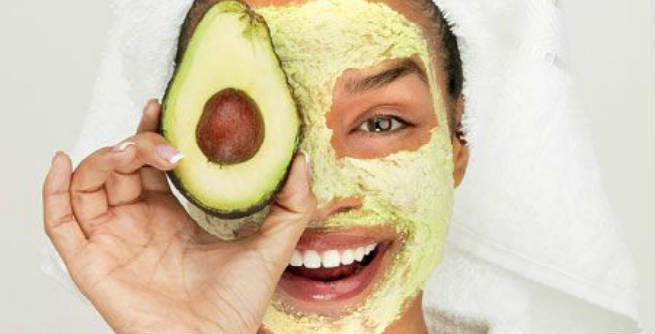 It is one of the most hydrating avocado face masks that you can try out to rejuvenate your skin. Mash the pulp of half of a ripe avocado and mix 1 tablespoon of finely ground oatmeal with it. Massage your skin with the mixture for a couple of minutes so that it gets exfoliated perfectly. Then, leave for next 15 minutes. Finally, rinse with cold water. Scoop out the pulp of half of a ripe avocado. Add half teaspoon of organic honey and one teaspoon of yogurt to it. Blend well until a smooth paste of moderate consistency is formed. Now, spread it all over the skin and wash off with lukewarm water after 10 to 15 minutes. Both honey and yogurt are amazing for dry skin, while avocado gives a boost to their qualities. Prepare a creamy mixture by combining two tablespoons of mashed ripe avocado, two tablespoons of fresh, raw, organic honey and half teaspoon of coconut oil. Use the mask on your skin for 15 to 20 minutes before washing with lukewarm water. If you are suffering from a dry and peeling skin, this avocado mask will be a perfect solution for you to restore the lost moisture. Instead of using honey and egg yolk separately, you can add both of them to your avocado facial mask. Prepare the nourishing as well as moisturizing mixture by blending two tablespoons of honey and two tablespoons of mashed avocado with one egg white. Apply it twice a week for better results. You can replace honey with fresh lemon juice in the previous mask and bid your dry, dull skin ‘goodbye’. All you need to do is to mash half of a ripe avocado properly, add an egg white to it and pour one tablespoon of fresh lemon juice into the mixture. Keep this mask on your face for 15 minutes and then, rinse with warm water. Make another face mask by mixing two tablespoons of mashed ripe avocado, one tablespoon of fresh aloe juice and half teaspoon of brewer’s yeast together. Using this twice weekly will help you rehydrate your skin efficiently. Take avocado pulp and mashed banana one tablespoon of each in a bowl. Add, one teaspoon of olive oil and one teaspoon of freshly squeezed orange juice to it. Combine well to form a uniform paste. Apply this face mask on your skin at least twice each week in order to get a soft, moisturized and youthful skin.